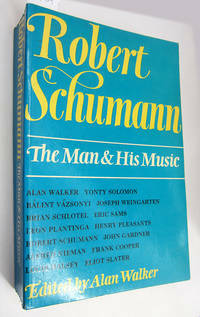 New York, N.Y.: McGinnis & Marx Music Publishers, POB 229 Planetarium Station. No Binding. Good. Quarto. 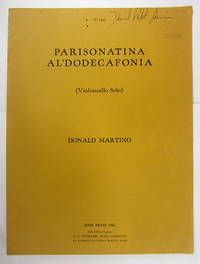 Piano score and parts (Clarinetto in B, Cornetto di Bassetto in F). Previous owner's stamp. Folded leaves, unbound. Black line copy of a Brietkopf & Härtel edition. New York: Dover, 1995 250 pp. Full score, small folio. Some very light bumping and rubbing at extremities, text block clean and white. 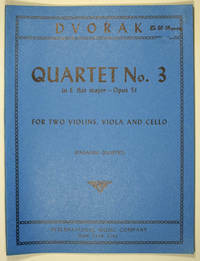 Piano quartet no. 1 in C minor, op. 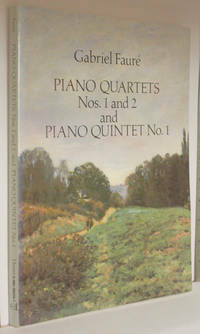 15 and piano quartet no. 2 in G minor, op. 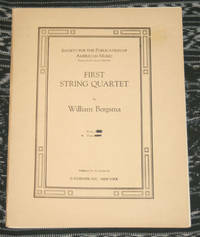 45 for piano, violin, viola, and violoncello; piano quintet no. 1 in D minor, op. 89 for piano, 2 violins, viola, and violoncello. 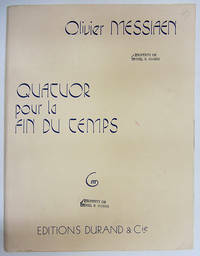 Originally published: Paris: J. Hamelle, n.d (quartets); New York : G. Schirmer, 1907 (quintet). . Wraps. Near Fine. 9'' X 12''. New York: Dover, 1995 vii, 247 pp. Full score, small folio. Only the slightest wear to wraps, text block clean and white. 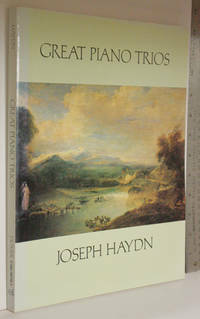 Originally published (new compilation): Trios fur Pianoforte, Violine u. Violoncello / von Joseph Haydn ; revidiert von Fr. Hermann. Leipzig : C.F. Peters, 18--. Bd. 1-2. With new introd. Contents: E minor, Hob. XV, no. 12; A-flat major, Hob. XV, no. 14; A major, Hob. XV, no. 18; D minor, Hob. XV, no. 23; D major, Hob. XV, no. 24; G major, Hob. XV, no. 25; F-sharp minor, Hob. XV, no. 26; C major, Hob. XV, no. 27; E major, Hob. XV, no. 28; E-flat major, Hob. XV, no. 29; E-flat major, Hob. XV, no. 30; E-flat minor, Hob. XV, no. 31.. Wraps. Near Fine. 9'' X 12''. New York: Dover, 1992 219 & 201 pp. 2 volumes. Very light wear at extremities, else fine. 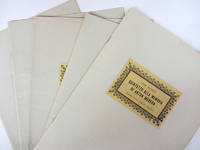 Piano-violin score, small folios. Originally published in Leipzig by Breitkopf & Hartel, 1879 (from Wolfgang Amadeus Mozart's Werke. Kritisch durchgesehene Gesammtausgabe. 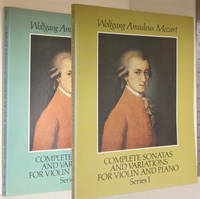 Series 18, v. 1-2: Sonaten und Variationen fur Pianoforte und Violine). 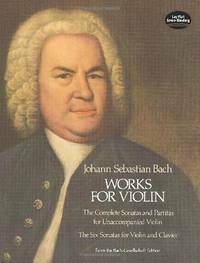 Series 1 (v. 1) contains sonatas K. 6-15, 26-31, 296, 301-306, 372; Series 2 (v. 2) contains sonatas K. 376-380, 402-404, 454, 481, 526, 547, Variations on La bergere Celimene, K. 359, and Variations on Helas, j'ai perdu mon amant, K. 360. ISBNs 0486272990 & 0486274063.. Wraps. Near Fine. 9'' X 12''. New York: Dover, 1992 346 pp. 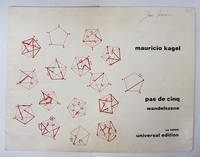 Large quarto, full score. Wear edges of front wraps. Text clean. Contents: Op. 1-4 for 2 violins and continuo; op. 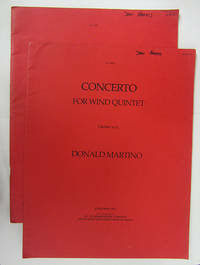 5 for 1 violin and continuo. Figured bass unrealized. 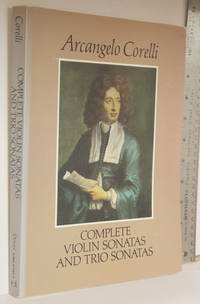 Originally published as Les oeuvres de Arcangelo Corelli. Livres 1-3. London : Augener, 1888-1890. Church sonatas in three parts, op. 1 (Sonate da chiesa a tre); Chamber sonatas in three parts, op. 2 (Sonate da camera a tre); Church sonatas in three parts, op. 3 (Sonate da chiesa a tre); Chamber sonatas in three parts, op. 4 (Sonate da camera a tre); Six violin sonatas, op. 5, part 1 (VI sonate a violino solo; Preludes, allemandes, correntes, gigues, sarabandes, gavottes, and follia), op. 5, part 2 (Preludii, allemande, Correnti, gighe, sarabande, gavotte e follia.).. Wraps. Very Good. 9" x 11''.